Are your midnight snacks sabotaging your sleep? Turns out, it’s more likely than you think! That’s right, the habit of digging into leftovers or chowing down on cookies before bed might be satisfying, but eating the wrong foods before bedtime can wreak major havoc on your rest! Late night snacks aren’t a bad thing as a general rule, but most of our typical snack foods (full of salt, sugar, and carbs) can dry us out or keep us awake long past` our bedtimes. But there are ways to curb this problem without going to sleep on an empty tummy. Some snacks are not only fine to eat before bed, they might actually help you sleep too! So, if you’re a chronic snacker, don’t reach for those potato chips just yet. Instead, try these six healthy snacks that can help you get to sleep faster and sleep more deeply. Pair these snacks with a snooze on a Beautyrest mattress and you’ve got all the fixings for a great night of sleep! Nuts, especially almonds and pistachios, are great for filling you up and helping you hit the hay. Nuts are packed full of protein and other important vitamins and minerals that soothe your body and help you achieve a deeper sleep. Don’t go for more than a handful though! Consuming too many calories before bedtime can keep you awake while your body struggles to break down all that food. Nut butters have a similar effect as their in-shell counterparts. A small piece of fruit, like an apple or banana, smothered in peanut or almond butter is a great way to feel full while staying healthy. The potassium and magnesium in the fruit paired with the protein and delicious taste of the nut butter is the perfect recipe for a great night of sleep! In addition to being delicious, Greek yogurt has tons of protein and fibre that can help you achieve a more restful night of sleep. 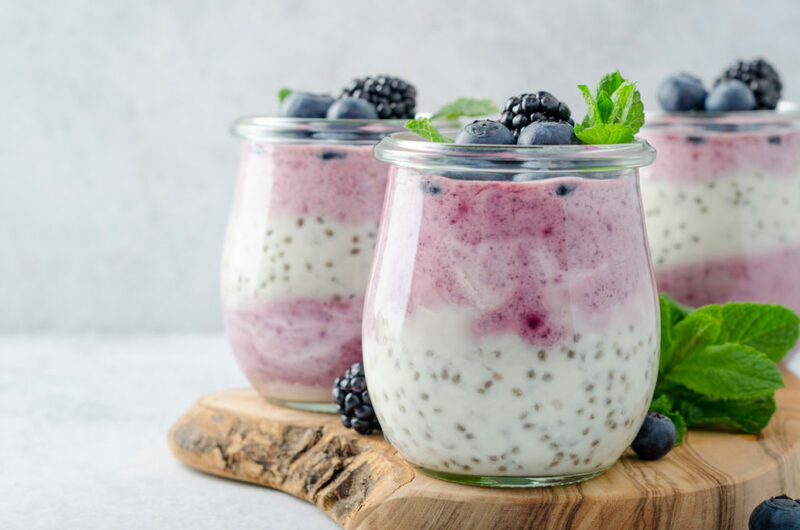 Top it with some cherries (which help naturally increase melatonin levels) or chia seeds (packed with iron and fibre) for an extra sleepy time punch! It turns out, some carbs can actually help you get to bed more easily! Avoid white bread, which tends to be tough for your body to process and contains little nutritional value, and opt for a slice of whole grain toast, full of healthy fats which can help you sleep. 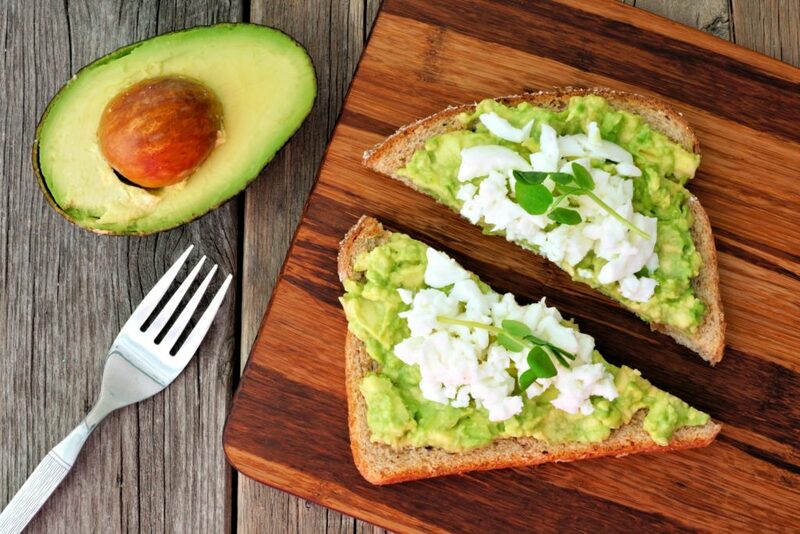 Top your toast with previously mentioned nut butter, cheese, or even some slices of avocado (we’re looking at you, millennials), all of which have sleep-inducing qualities. Not only are herbal teas like chamomile and lavender relaxing and cozy, you can even sweeten them up when you have a cup before bed, totally guilt-free! Honey helps promote the hormones your body needs to slip quickly into dreamland, and herbal teas are great for eliminating stress and relaxing those nerves that keep you wide awake and jittery through the night. Salad might not be the first thing that comes to mind when you think of bedtime snack foods, but greens like kale, lettuce, and spinach are great for your bedtime health! Try chopping up some veggies (carrots and chickpeas are just a few other great sleep-inducing options) and reap the rewards of a refreshing pre-bedtime salad! Still struggling to get to bed even with all these sleep-promoting snacks? You might have a bigger problem on your hands than satisfying the late-night munchies. A bad mattress can keep you tossing and turning no matter how good your nighttime routine is! With a Beautyrest mattress, carefully crafted to perfectly fit your body and adapt to your unique sleep needs, you’ll be on cloud nine every night. So, if you can’t seem to get a good night’s rest no matter what you try, set the snacks aside and go shopping for a Beautyrest. Give us a call or check out our store to learn more about all the great Beautyrest mattresses we have in stock!